Complete mass of NWA 4472. History: G. Hupé purchased the sample July 2006 from a dealer in Tagounite, Morocco. Physical characteristics: A single 64.3 g stone with visible pale gray to whitish clasts in a dark gray matrix. Fusion crust is not evident, but the exterior has fractures and thin coatings of desert varnish on exposed surfaces. 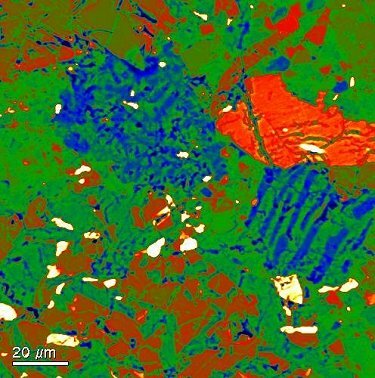 Petrography: (A. Irving and S. Kuehner, UWS) Lithic clasts (up to 0.65 cm) are predominantly various types of ophitic to quench-textured basalts (composed of pyroxene(s), plagioclase, olivine, ilmenite, and rare baddeleyite). Granophyre clasts (consisting of “ribbon-like” subparallel intergrowths of silica and K-feldspar with accessory baddeleyite and rare tranquillityite) are present as a minor component, as well as clasts composed mainly of fayalite (with associated glass, silica, K-feldspar, and merrillite) and spherical to ellipsoidal glass objects (up to 60 µm across). Mineral clasts include pyroxenes, olivine, plagioclase, silica, zircon, baddeleyite, merrillite, Ti-chromite, fayalite, ilmenite (with baddeleyite inclusions), metal (both kamacite and taenite), troilite, and schreibersite (Kuehner et al. 2007). 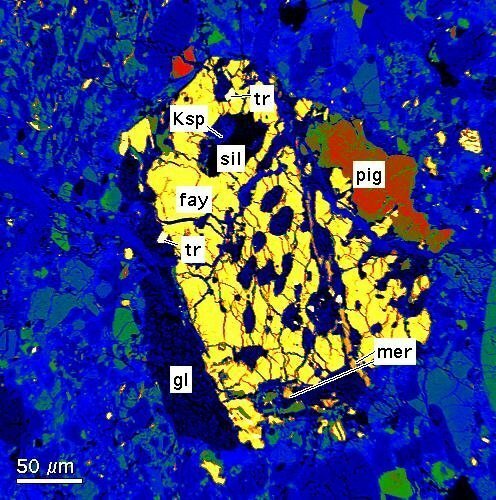 Mineral compositions and geochemistry: Olivine (Fa56.6–64.6; FeO/MnO = 91–101), plagioclase (An86.9–97.5 Or0.2–0.6), orthopyroxene (Fs26.9–29.3Wo3.8–4.1; FeO/MnO = 51–62), subcalcic augite (Fs52.6Wo30.5; FeO/MnO = 72), Al-Cr-rich pigeonite (Fs27.0Wo17.1; FeO/MnO = 51.1, Al = 3.10 wt%, Cr = 1.01 wt%), fayalite (Fa90.3; FeO/MnO = 92), barian K-feldspar intergrown with silica (Or80.9–55.6Ab15.3–30.2 Cn0.6–6.3). Bulk composition: (R. Korotev, WUSL) INAA on nine ~30 mg subsamples gave a mean composition of: Na = 0.448, Fe = 7.14 (both wt%), Sc = 20.9, La = 44.7, Sm = 19.51, Eu = 1.50, Yb = 13.4, Zr = 438, Hf = 11.1, Ba = 601, Th = 7.49 (all ppm). 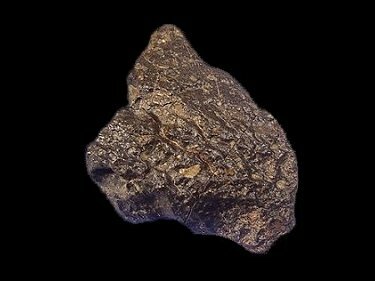 Although it is possible that there is a minor mare basalt component, this specimen is dominated by materials with KREEP-like compositions and is essentially identical in bulk composition and petrologic characteristics to Northwest Africa 4472. Classification: Achondrite (lunar, KREEP-rich breccia). Type specimen: A total of 12.87 g and 3 polished thick slices are on deposit at UWS. G. Hupé holds the main mass. Joy K.H., Burgess R., Hinton R.,Fernandes V.A. , Crawford I.A., Kearsley A.T.,and Irving A.J. A KREEPy regolith breccia from the Moon. Geochimica et Cosmochimica Acta 75, 2420-2452. Arai T., Yoshitake M., Tomiyama T., Niihara T., Yokoyama T., Kaiden H., Misawa K., and Irving A. J.
Arai T., Yoshitake M., Tomiyama T., Niihara T., Yokoyama T., Kaiden H., Misawa K., Irving A. J. 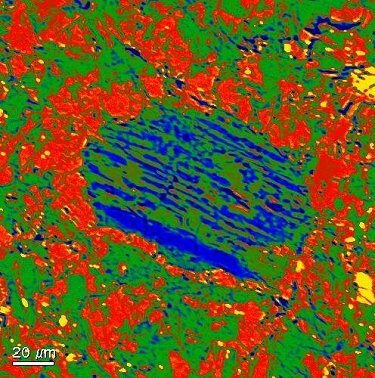 (2010) U-Pb age dating and mineralogy of a KREEP basalt clast in lunar meteorite NWA 4485 (abstract). Arai T. Misawa K. Tomiyama T. Yoshitake M. Irving A. J. 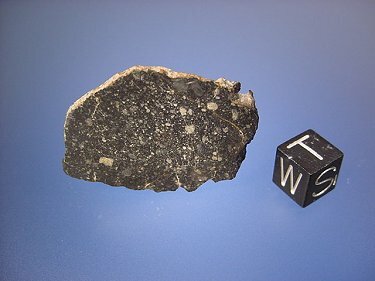 (2009) Constraints on lunar KREEP magmatism: A variety of KREEP basalt derivatives in lunar meteorite NWA 4485 (abstract). (2009) U-Pb and Ar-Ar chronology of lunar meteorite Northwest Africa 4472 (abstract). Goldschmidt Conference Abstracts 2009, A607. Joy K. H., Crawford I. A., Kearsley A. T., Fernandes V. A., Burgess R., and Irving A. J. 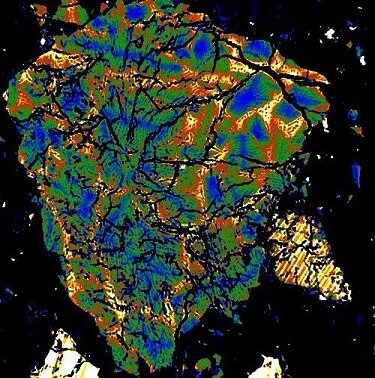 (2008) The petrography and composition of lunar meteorite Northwest Africa 4472 (abstract). Joy K. H., Fernandes V. A., Burgess R., Crawford I. 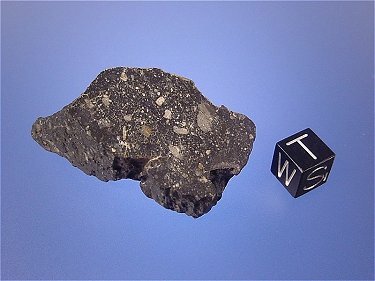 A., Irving A. J., Kearsley A.T.
(2007) The clast inventory of KREEPy lunar meteorite North West Africa 4472 (abstract). 70th Annual Meeting of the Meteoritical Society, abstract no. 5223. Kuehner S. M., Irving A. J., Korotev R. L., Hupé G. M., and Ralew S.
KREEPrich lunar breccias Northwest Africa 4472 and 4485 (abstract). Complete polished slice of NWA 4472. 35.3g main mass of NWA 4472. 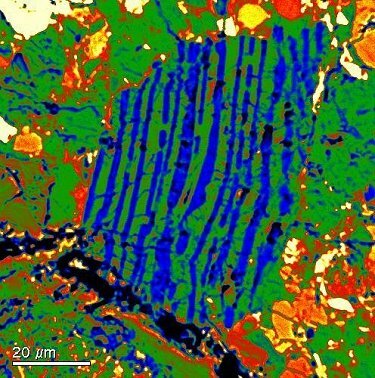 “Granophyric” clast composed of ribbon-like intergrowth of silica (blue) and K-feldspar (green). 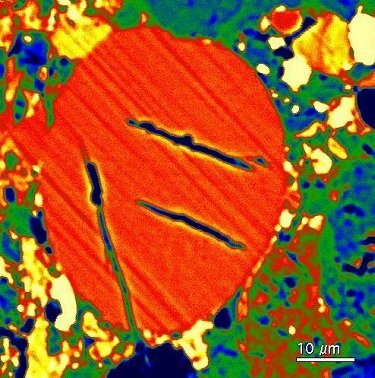 “Granophyric” intergrowth clasts (blue and green), pyroxene (red) and troilite+metal (white). “Granophyric” intergrowth clast (blue and green). Fayalite-rich clast (yellow) associated with silica+K-feldspar intergrowth, troilite, merrillite, pigeonite and glass. Small glass sphere, probably impact melt droplet (diagonal line are polishing scratches). Glassy clast with fine quench crystals.